This popped up on dclsg today. 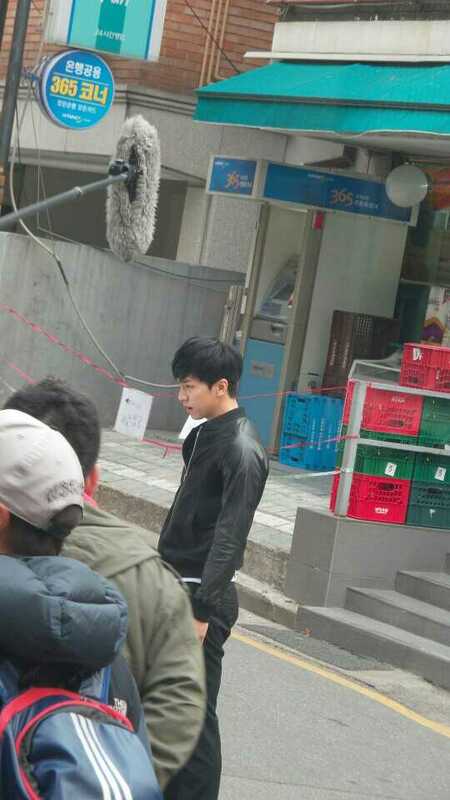 Categories: dclsg, Drama, fanpic, filming, sighting, You Are All Surrounded | Tags: dclsg, Eun Dae Gu, fanpic, filming, YAAS | Permalink. This is a program about people calling in and telling the station about the story behind someone they’d really like to thank. If they are chosen, they are awarded approx $975 US. 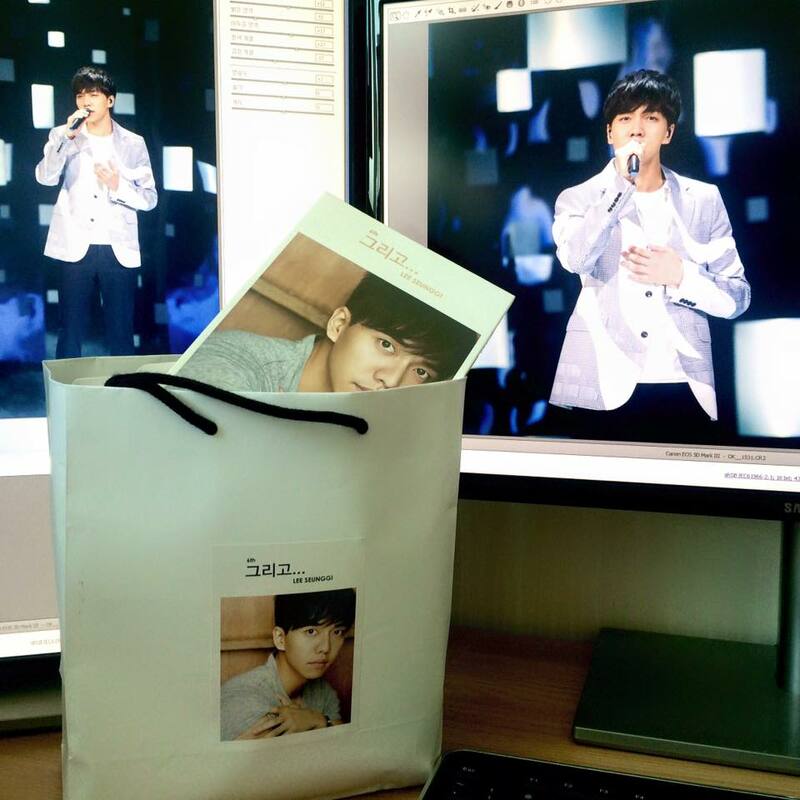 A voice actress named Seo Yu-ri really wants to tell Lee Seung Gi “thank you and sorry”. She tells the interviewer that she’d really like to thank him through this program. The male interviewer says their first meeting wasn’t typical. Seo Yu-ri was once a reporter for entertainment news. Since it hadn’t been long since she started, she was overflowing with enthusiasm and determined to get the job done right. She ended up having an interview with Lee Seung Gi and was very persistent with her questions to the point it could have been offensive and annoying. 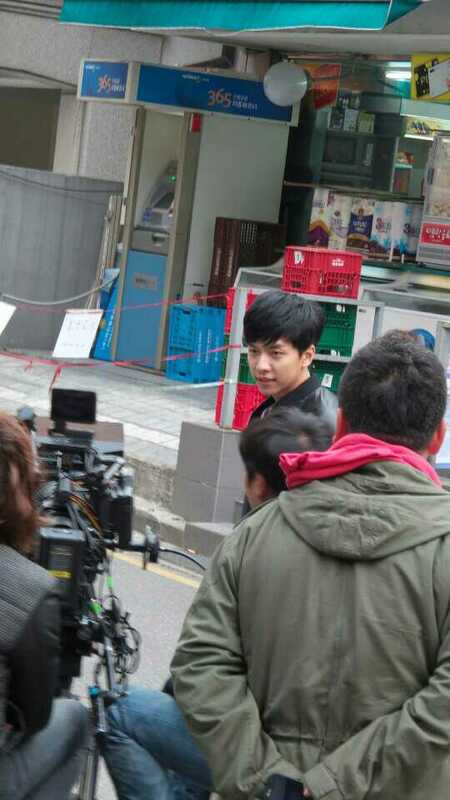 However, Seung Gi took the questions in stride and handled them with aplomb. Seo Yu-ri was very thankful but worried that he wouldn’t be happy to see her again. 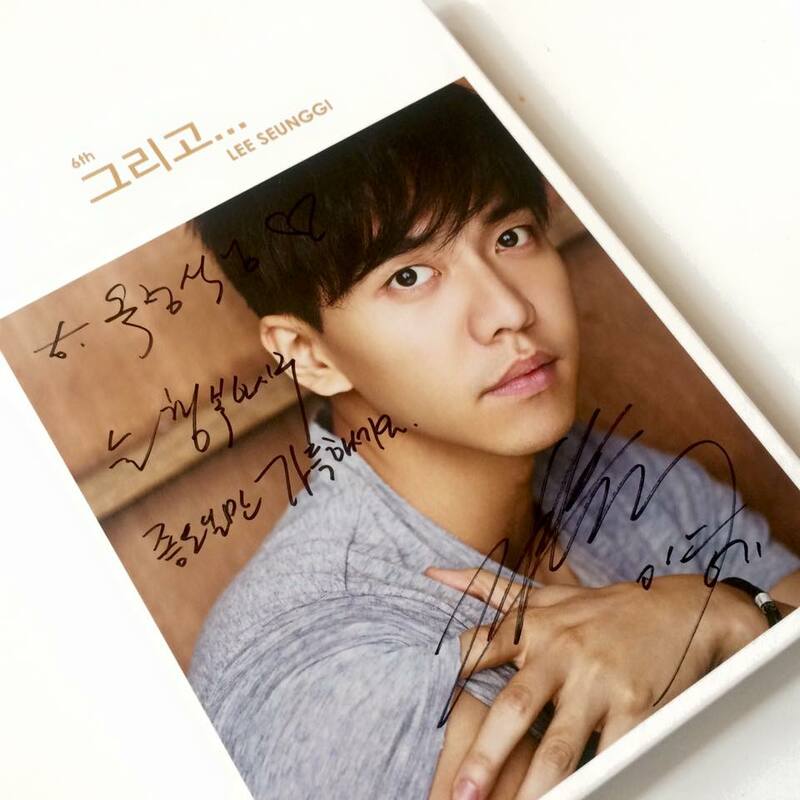 Seo Yu-ri’s personal message to Lee Seung Gi: Hello, Mr. Lee Seung Gi. You probably remember me, right? It’s highly unlikely that you’d forget a woman who grabbed you several times by your hair. Even back then, everything was so chaotic that I didn’t have a chance to greet you properly. I remember that wrapping up filming was hectic. Thank you so much for treating me kindly. I think it’s a big relief that I’m able to thank you. I heard that you’d be active soon. That’s really good news. (I’m assuming she’s referring to his comeback as a singer) I will look forward to your cool activities. Male interviewer: If you also have someone you’d like to thank, please dial #7004. We will choose a very moving story every month. We look forward to your participation. Categories: dclsg, Drama, Interview, translation, Video, You Are All Surrounded | Tags: dclsg, SBS Morning Wide, translation, video | Permalink. Always be happy. May an abundance of only good events happen. Looks like he received it this morning as his post states he’s at SBS’ Open Hall which is where today’s Inkigayo was broadcast. Categories: Audio/Album, Facebook, fanpic, Photos, translation, You Are All Surrounded | Tags: 6th album, Autographed 6th album, Charles OK, translation, YAAS, YAAS Photographer | Permalink. This is the 4th bonus BTS footage clip that has been released to the public so far. It’s the wrap up party and the female voice over is just describing what is happening in the clip. 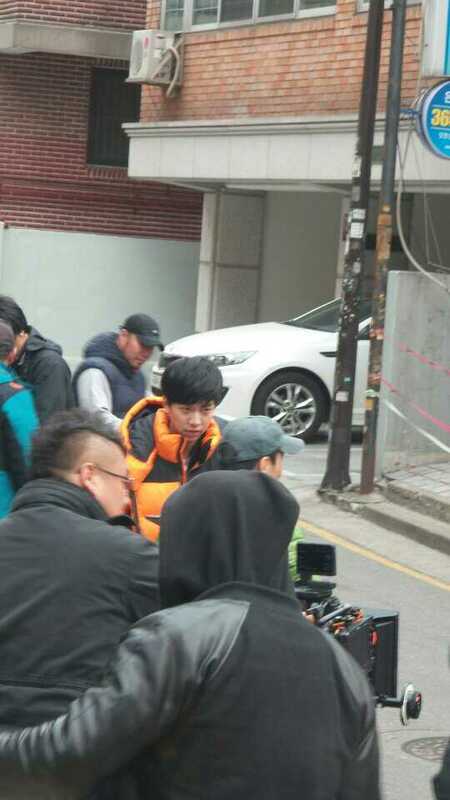 For example, “As Seung Gi arrives..the flash goes off”, “Seung-Won has arrived”, “They’re making a toast”, etc. The 2nd DVD & Blu-ray set consisting of volumes 6 ~ 10 will be released on Wednesday, June 3rd JST. The 3rd and final set consisting of volumes 11~16 will be released on Thursday, July 2nd. Categories: Drama, Japan, You Are All Surrounded | Tags: bonus footage, DVD Set. Japan, trailer, video, You Are All Surrounded | Permalink. Categories: Drama, fanpic, filming, Photos, You Are All Surrounded | Tags: fanpics, filming, Gangnam, YAAS, You're All Surrounded | Permalink.